Advent Lifts Services Ltd is a medium-sized business specialising in design, supply, installation, assembly, servicing and refurbishing of all type of lift and escalator. The company is trained in working with safe, stylish and energy efficient escalators, goods lifts, parking systems and passenger lifts of both hydraulic and traction types, including machine-roomless, in Malta, Europe and North Africa. With experienced staff of 20 full-time employees, most of which have been employed with the company for many years, Advent Lifts Services Ltd has sold and is servicing over 600 lifts in Malta and the Mediterranean Region over the past 14 years. The directors of the company have a combined experience of over 40 years and always seek to provide the best advice for each individual situation ensuring that the company’s clients are always kept satisfied with all the products and services. Whilst maintaining high levels of efficiency, Advent Lifts Services Ltd has established very strict policies regarding the quality of work and will continue to thrive in improving the quality of its current products and adopting new systems to repair and service lifts using the most time-cost efficient methods and ensuring high health and safety features for which the company is renowned. We will deliver our promise by ensuring personalised service to our current and future customers. Advent Lifts Services Ltd has provided lifts to major building contractors, hotels, showrooms, factories and shops distinguishing punctuality in meeting tight deadlines. Our stores are equipped with a variety of tools and parts required for repairing different faults to avoid repairing delays. All our products and services are in compliance with the Malta Standards Authority, Malta Lifts Association and EN 81. We would like to invite you to browse our website www.adventliftsltd.com for further information on Advent Lifts Services Ltd and its products and services. Should you require more details or an itemised personalised quotation we look forward to meeting you on site or in our premises in Zebbug, Malta. ESS has a proud history of being amongst the leaders in the Maltese market in the area of electrical supplies and services. The company has sought to keep building on their stellar reputation and today they have also expanded their range of products. ESS is proud to have been involved in some of Malta’s leading developments and projects in the past years and the mission is to continue to be the market leader in this sector. Product range The company’s product range includes distribution boards and protective devices, busbar systems, light fittings, motor protection, cables and cable management, accessories and lamps including LEDs. Branding Ever since it opened its doors for business the company has managed to secure a considerable amount of exclusive representation agreements with foreign suppliers introducing a variety of new and varied stock items in the process promoted on behalf of the likes of Mondini Cavi, AEG Electra, Palazzoli, Fael Luce, Atenalux, Ave Interruttori, Tecnologic, Zanardo Quadri, Palicmapion, Perry, Zippo, Marecoluce, Geros, Marlanvil, HT Italia, GE Power Controls, Weidmueller, Mennekes, SLV, Univolt, GE Entsol Digital Energy, Famatel, Basor, Zalux, Gave, SG Lighting, Megaman, China Era Group, Lisheng Electronics, Violet, Guang Dong Keblan, China Rit, Desu Plastics, FSL, Beyond, Haijua, Chint and various other brands. The international dimension gained and the business relationships built over the years have enabled ESS to augment its profile amongst local consumers with the latter becoming increasingly ever so loyal to the company. Projects ESS has been entrusted with many projects covering many an important facet of the local economy including restaurants, schools, supermarkets, residential apartments, arterial roads, air hangars, commercial premises, recreational sites, hotels, private residences and many other pivotal market segments. The company’s impeccable service was rendered in the form of indispensable technical advice as well as through the various products supplied from its vast product range. Environmental Awareness ESS has been actively advocating environmental awareness amongst its vast client base. Indeed putting in practice what it has been preaching, it managed to secure funding from the EU to invest in renewable energy. It is today generating energy from its own premises. Also, through its exclusive representation on the Maltese Islands of energy saving products, it has been more than contributing towards a greater energy efficient community. Social Responsibility Apart from the commercial perspective, the company on many a time, has, either under its own brand or in agreement with its foreign suppliers, embarked on social initiatives, particularly those supporting emerging sports such as rugby and car racing. Indeed, this manifestation of corporate social responsibility shall become ever so important in the years ahead as the company intends to venture into other areas covering environmental issues as well as research and development. The Wholesaler B.E.L. 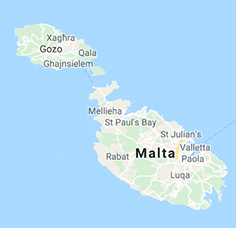 Group is one of Malta’s leading companies specialized in electrical and plumbing supplies in addition to switchgear assemblies and drain pipes manufacturing. It was established in 2007 and ever since has continuously expanded its portfolio to cater for the demands of the local market. The Wholesaler B.E.L. Group LTD has the knowledge and expertise to cater for different sectors of the industry. The organisation has been carefully developed to ensure that their staff is constantly updated and trained within their specialism, which translates into great customer service and satisfaction that you can rely on. The company’s main policy is to continuously strive to meet the demands of its clients. The choice of quality material imported from world-renowned suppliers combined with competitive prices, reliable speedy deliveries and efficient after sales service have also proved to be a major factor in the success of the company. The Company operates from its main commercial premises in Marsa which covers over 500m.sq. and is supported by over 1000m.sq. of workshops and warehouses. Their goal is to work hand in hand with project managers, engineers and tradesman; provide their expertise, knowledge and resources, offer the latest energy efficient technology in the market, and pay maximum attention to safety in order to achieve the highest standard and ensure full customer satisfaction in all projects. The Wholesaler B.E.L. Group strives to meet the demands of various sectors of the local market, namely Industrial, Commercial, Domestic, Governmental entities by the supply of various products and services related to electrical and plumbing. For more information contact the Wholesaler today for a free quotation. AJ Electric imports and distribute a vast range of high quality Electrical Items. With a customer base of around 200 retail outlets all over Malta and Gozo, AJ Electric is one of the leading suppliers on the Islands. AJ Electric provide its customers with a wide range of quality items, efficiency and professional service. The company enjoys healthy business relationships with suppliers from Europe and Asia, all involved in the different aspects of the lighting industry. Since its’ establishment in 2006, AJ Electric always placed the satisfaction of the customers as priority, by presenting the best quality and with the best prices on the market. AJ Electric, Your Light.